Lee Ferber, CPA, partner-in-charge of the firm’s Business Advisory Group and Co-Chair of the firm’s Health Care Consulting Group, has been a Partner with Gettry Marcus CPA, P.C., since 1999. His areas of specialization include auditing, accounting, tax and business advisory services for closely held businesses. Mr. Ferber works extensively with group medical practices, manufacturers and wholesalers. He has particular expertise in the health care and apparel/textile industries. As Co-Chair of the Health Care Consulting Group he provides accounting, tax, audit and consulting services to group practices, ambulatory surgery centers, diagnostic & treatment facilities, urgent care centers, single and multi-specialty “super-groups” and other ancillary service providers. He regularly works with providers across the health care spectrum advising on group consolidations, mergers & acquisitions, physician-hospital arrangements, physician compensation and revenue-sharing matters and advises practices in areas of financial management. He speaks regularly on health care payment reform and what medical practices should be doing today to remain competitive and financially viable in today’s changing health care landscape. A graduate from the State University of New York at Albany, Mr. Ferber is a member of the AICPA and the New York State Society of Certified Public Accountants (NYSSCPA). He also belongs to several healthcare organizations including the Nassau Chapter of the NYSSCPA’s Healthcare Committee and the Healthcare Financial Management Association. 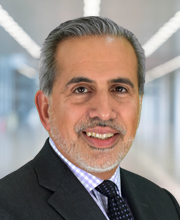 In addition, he is a board member of the National CPA Health Care Advisors Association, and on the board of the Long Island Chapter of the Medical Group Management Association.